TMC has been successfully supplying leading universities, colleges and schools across the UK for over 10 years. 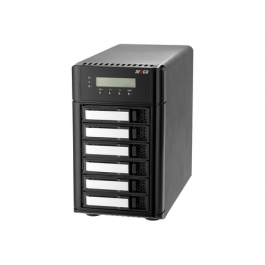 Our sales team have a wealth of experience in server and storage hardware solutions for the education sector. Our core value is to deliver a high quality, knowledgeable and professional service. For a discussion about your requirements, please contact us for more information and educational pricing. New generation X11 Supermicro SuperStorage systems support node based deployment strategies where CPU and HDD capacity scale together, or deployments can be expanded using JBODs for improved economy and present a number of key benefits to customers working with CPU Intensive Storage, Virtual Storage, Single Instance Storage and Data Deduplication, Data Replication and Business Continuity, and Virtual Tape Library customer environments. 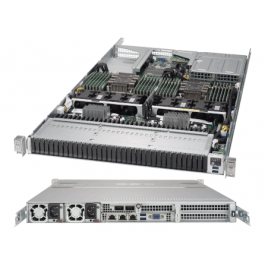 The Supermicro 1029P-NMR36L SuperServer is a 1U Rackmount server with 32 Hot-swap and PCI-E NF1 and 4 SATA3 drive bays, 2x 10GBase-T LAN ports via Intel X550 and 1600W Redundant Power Supplies. The Supermicro X11SCA-W is a Single Socket Intel 8th generation Motherboard with up to 64GB Memory Capacity, 8x SATA3, 2 USB 2.0 ports, 4 USB 3.1 Gen1 and 4 USB 3.1 Gen2 ports. 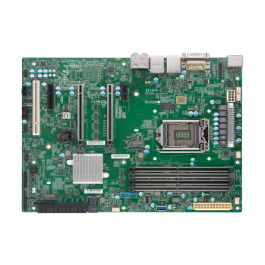 The Supermicro X11SCA-F is a Single Socket Intel 8th generation Motherboard with up to 64GB Memory Capacity, 8x SATA3, 2 USB 2.0 ports, 4 USB 3.1 Gen1 and 4 USB 3.1 Gen2 ports. The Supermicro X11SCA is a Single Socket Intel 8th generation Motherboard with up to 64GB Memory Capacity, 8x SATA3, 2 USB 2.0 ports, 4 USB 3.1 Gen1 and 4 USB 3.1 Gen2 ports. The Supermicro C9Z390-PGW is a Single Socket Intel 8th or 9th generation Motherboard with up to 64GB Memory Capacity, 6x SATA3, 2 USB 2.0 ports, 4 USB 3.1 Gen1 and 5 USB 3.1 Gen2 ports.